Start the day off with an all-American breakfast before heading out to the day’s events with a 4th of July pancake breakfast. Held at Our Lady of the Mountains Catholic Church, the Independence Day Pancake Breakfast goes from 7:00 to 10:30 am and breakfast is only $8 for adults and $5 for children. Save a dollar off your ticket price with a donation of a non-perishable item. This event is a fundraiser for Crossroads Ministries. The United States isn&apos;t the only birthday this July 4th. 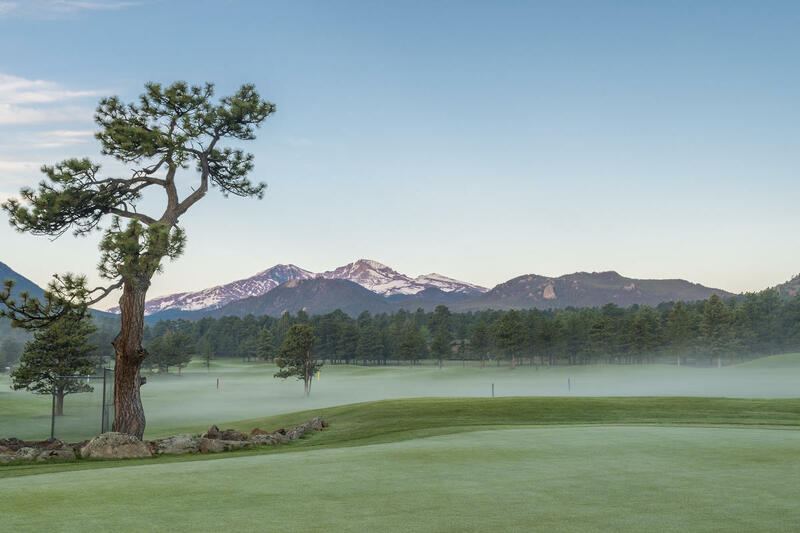 The Estes Park 18 Hole Golf Course is turning 100 years old, and there is a Centennial Tournament to celebrate. Come celebrate one of the oldest golf courses in Colorado with a day full of fun, birthday cake and golf. Every player receives a tee gift as well as lunch at Smokin&apos; Dave&apos;s at the Hangar Restaurant. Tournament begins at 8 a.m. Per team fee of $150 includes green fee, cart, range balls, prizes, tee gift, birthday cake and lunch. It wouldn’t be the 4th of July without the Coolest Car Show! Car show guests will get to admire over 100 classic and unique cars as part of this fun, annual event at the Estes Park Events Complex. 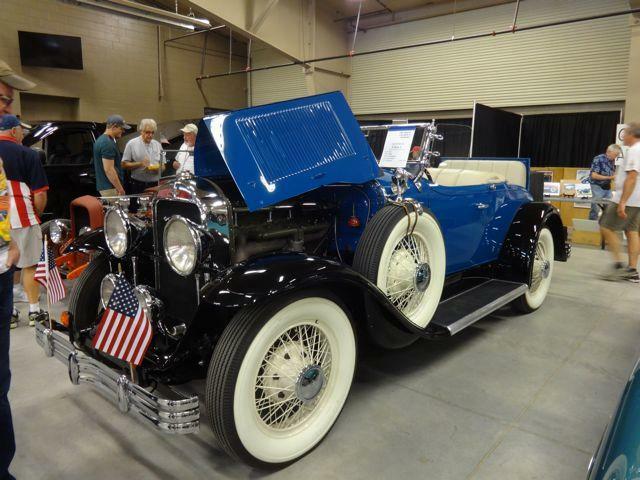 Whether a car enthusiast or just a casual observer, this expansive collection at the Coolest Car Show is sure to turn your head! The show is open to the public from 9:30 a.m. to 3:30 p.m., with live music from the Mountain Music Makers and the Mountain Town Trio. Admission is $8 for adults and $5 for children 5 to 17. 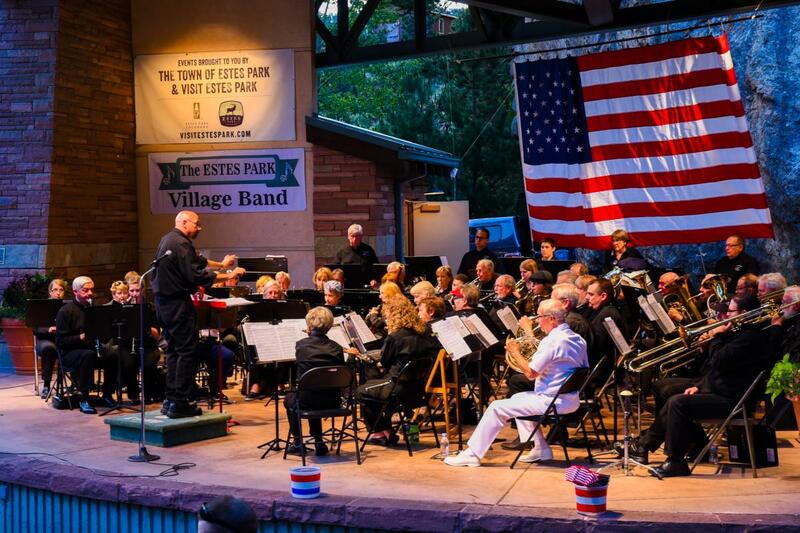 Enjoy free live music with the Village Band at downtown&apos;s Performance Park on the evening of Independence Day. Located at the west end of the Elkhorn Avenue Riverwalk, Performance Park&apos;s grassy slope is the perfect place to take in some traditional patriotic favorites and upbeat marches! The concert begins at 7 p.m. and ends in time to get to the other side of the village for the spectacular fireworks display! Everything you are looking for on July 4th! The Big Bang Concert offers great music, food vendors, local beer & wine, parking, shelter, and a view of the fireworks over Lake Estes! This year two acts that tour the nation and abroad will be performing. The Fab 4, Beatles tribute band, bring amazing talent and the music that everyone in the family loves, while dressing and looking the part. The Beverly Belles, a sensational harmony singing trio that hearken back to the 40&apos;s and 50&apos;s with a special patriotic theme for July 4th. 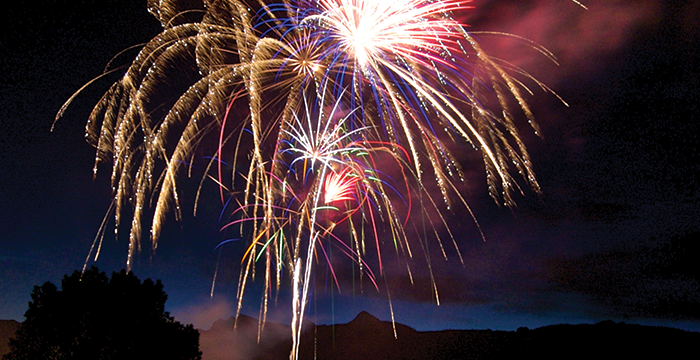 The annual Estes Park 4th of July Fireworks extravaganza takes place over Lake Estes at 9:30 p.m. Catch a seat along the Lake Estes Trail, near the Estes Park Marina or in Stanley Park for the best views. You won&apos;t want to miss this incredible display of national pride! Estes Park becomes very busy with guests and locals celebrating Independence Day. Check out How to Navigate the Height of Summer Travel for Tips. The Fourth kicks off more awesome activities in Estes Park. Beginning July 5th, the legendary Rooftop Rodeo runs each night for the next five days, and the Rodeo Parade trots through town on July 6th. Book your lodging now to extend your stay and enjoy all summer has to offer in Estes Park.